What do you think the best looking rims are for the shark? I absolutely love this look. P.S. i think even the stance is perfect. what springs and shockers does it have please. i want this very stance for mine. 3/1986 Complianced, Aust delivered E24. Bronzit with Pearl Beige. Garage buddies: E9 3.0 csi Polaris Silver, blue leather ; E34 M5 Alpine White, Black extended leather ; E39 M5 Carbon Black, Caramel Heritage Leather. ozbmwnut wrote: I absolutely love this look. Absolutely bog/stock standard! Original Eibach ///M springs (swapped around for highest standing height to driver's side) + rebuilt last year Bilstein P36/B46 shocks with original BMW ///M valving as per original factory specs. The only differences between these shocks now and how they were delivered new is that they now have much longer lasting and durable teflon internal piston seals which simply didn't exist when the shocks were originally made in the 1980's. A sensible upgrade strongly recommended by Sydney Shocks who rebuilt them for me. Only other deviation from factory original is the addition of a Mason Engineering aircraft aluminium one-piece front strut tower brace and an E28 towing pack steel rear strut brace under the rear parcel shelf modified to fit upside down in order to clear the speaker bowl recesses with enough airgap to retain the boot trim in between. Aside from that, she's as she left the factory in 1985. Re: What do you think the best looking rims are for the shark? Given yours is an "M', and mine is not, maybe that is the difference. Right now mine looks very high at front, she looks like a space shuttle coming in to land..
ozbmwnut wrote: Given yours is an "M', and mine is not, maybe that is the difference. My god. this thing is stunning from all angles. ozbmwnut wrote: My god. this thing is stunning from all angles. It does get some stares on the road for sure. 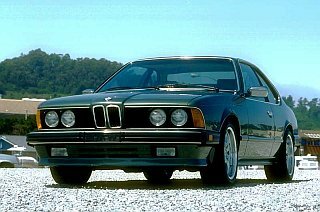 Mostly I expect just from the fact that any E24 these days looks so vastly different to the styling of every other melted soap bar car design aesthetic being churned out by every manufacturer these days that they stand out like a sore thumb. In most cases they just look really, really old and out of style. Here in Perth, any E24 would be a very rare sight indeed. I can't remember the last time I saw one other than my own driving around in the wild. 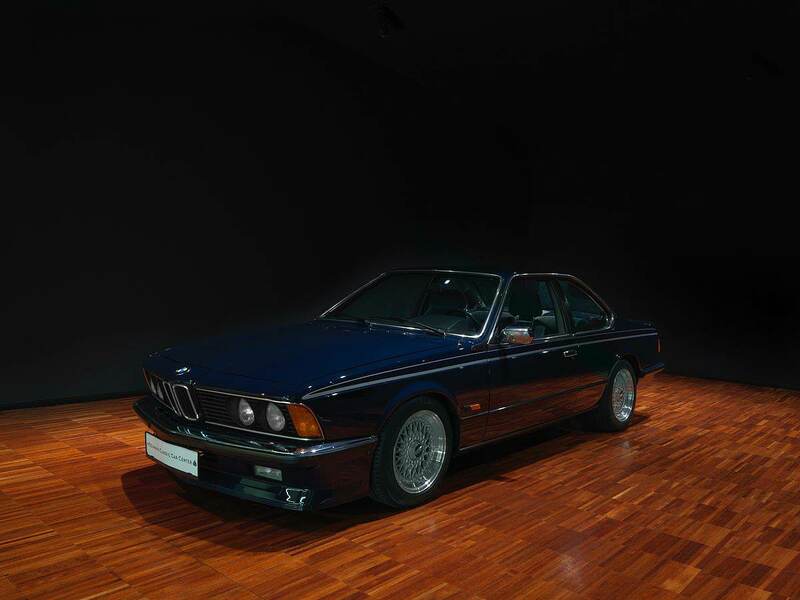 So if you were another driver and you knew what you were looking at, any E24 would be a pretty strange sight to see, an ///M E24 wearing ALPINA wheels would be especially so. I was using it to deliver a bent E38 Styling 61 wheel to the local restorer here last week and copped three young tradesmen hanging out the side of their light utility truck at a set of traffic lights clambouring over each other to get a look. All three of them wouldn't have been as old as the car's 32 years! Obviously, you would have had to have been an absolutely filthy rich fanatic to have ordered up a set of genuine ALPINA wheels to use as the winter wheel fitment to cop all the abuse salted roads would give them at the time. I dare say almost all buyers would have instead chosen to just not drive their expensive ALPINA car at all during winter, or if they had to, then to fit it with a cheap and nasty set of steel wheels for those few months rather than fork out another fortune for a temporary set of ALPINA's while the wider summer set were in storage. For that reason, the 8" width set I have were very rare indeed. I've never seen another set like mine on another car or in photographs at all. I'm not claiming mine are the only set there are, that would be ridiculous, but I've never come across another set for sale or even mentioned anywhere. 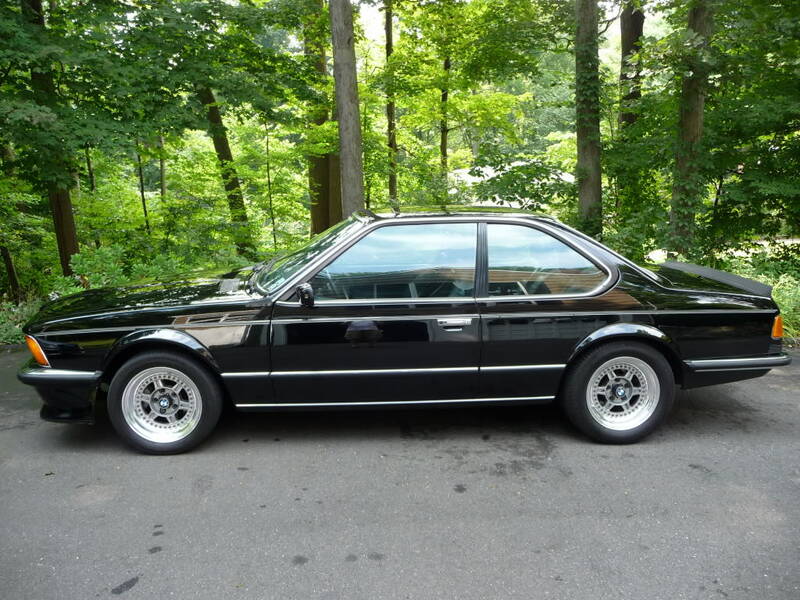 For me, they are the perfect TRX replacement for an E24. They are as close as it's possible to get to the original TRX size fitment of 16.1/3" x 7.2/3" et19 wearing a 240/45-415 tyre. Mine are fitted with the very common 235/45-17 size. Being such close equivalents, there were no nasty surprises in handling or road feel when swapping over. Car drives exactly the same now with the ALPINA's as it did with the OE TRX's, which is something I particularly wanted to maintain. Didn't want any extra tramlining, heavy steering, front end shimmy, understeer or other nastiness you can commonly get when doing plus/staggered fitments. My replika Alpina on 17"
17" Style 5's all day long. @ArneR , what springs/ height is your one with the gold BBS on? Mine needs to go up after years of scraping the tarmac. 'HAUNTED ' and playworn 1986 635 Daily. Sorry for not seing your question before. It sits on Bilstein dampers, and Eibach springs. 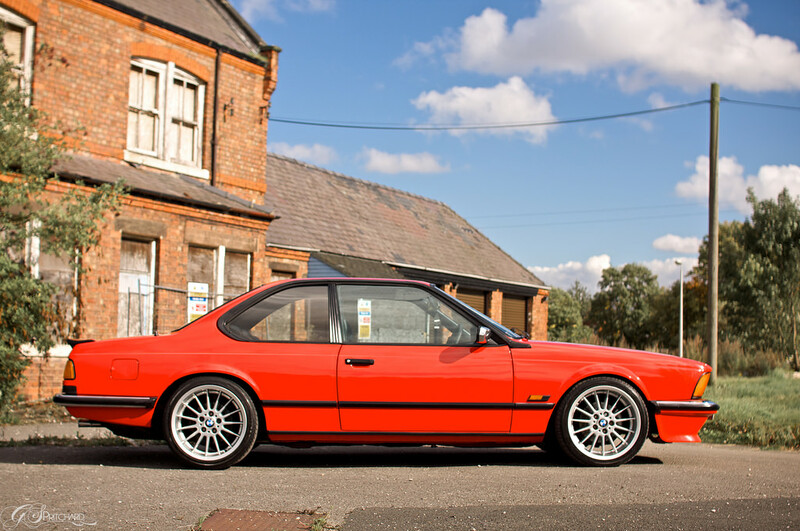 I've always liked the BBS RS on 1980s BMWs. Here's mine, with RS 198 (17" X 8.5" X ET13) and 245/40-17 Dunlops. 7.5 X 16 ET20 Made in Italy. Those look somewhat familiar. Not exactly the same, but very similar. I'm quite a fan of the original 77 - 84 wheels, I preferred the larger ones to begin with but these do suit the car imho. The early rear bumpers are also quite nice too - subtle design. I'm with you on this . I sway between original and larger dia. too , so much so have embarked on refurbishing the OE 14 " Mahles that were fitted new . The phase one was always a little more elegant imo. I don't think you'll regret it - my spare is the original Mahle and I managed to pick up x4 boxed genuine BMW ones off eBay for £300 last month. The car came with M6 BBS TRX alloys - the Mahles look like bicycle tyres in comparison - nice an easy to roll though - which is all my car does at the moment! 1972 Datsun 510 Badass Monster! "Strive for perfection, excellence will be accepted." I currently have a set of 16" Borbet Type A wheels on mine. On my early Euro, I have 17x8 style 32 wheels. They are great looking wheels on a shark-- probably my favorite. Can I ask the offset on the front 32 wheels? Not my car but I do like the look. Yes, 17x8 Style 32's are ET20.